I will be the first to tell you that I am a un-organized confused person. As a Virgo, this is somewhat sad but not uncommon. I can happily organize things for the people in my life but getting myself organized is a different story altogether. As a blogger, I have events to attend, products to review, posts to write, promoting via social media and it can be draining but this is where CoSchedule comes in to change all of that! Coschedule 2017 from Garrett Moon on Vimeo. I think the most useful part of Coschedule for me is the ability to work ALL of my social media accounts from one go to spot. Social media is difficult enough to navigate, is this 140 characters, what is the best time to schedule a social media blast? So many things to figure out. CoSchedule takes the guess work out of questions like this. Either right before publishing or before scheduling a post all I have to do is select the social media platforms I want to post to and done! It even has the option to choose the best time for it to be shared. Now, I tried CoSchedule out many many moons ago, and I have to say that the coolest addition to the features is the option to ReQueue your past posts. ReQueue for reuse later on. gaps in your social schedule. New Features and New Look! So many new features abound with Coschedule. 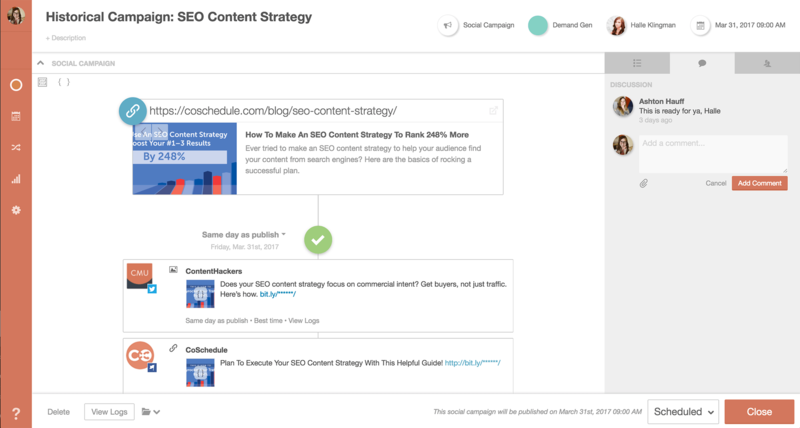 Workboard gives you a chance to plan and create your upcoming posts out before you set things up on the schedule. 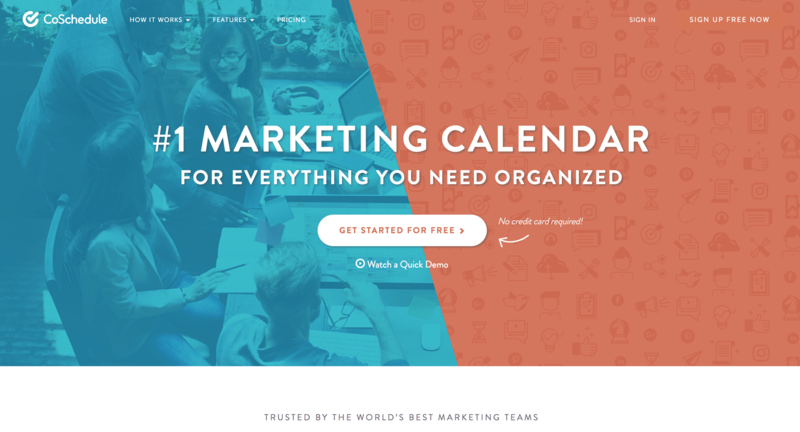 I adore Coschedule; it is one of the best tools out there for bloggers and businesses in general. They offer an excellent list of services, and their customer support is very helpful I have had many questions that have been answered promptly. The only thing I would change personally is the pricing for bloggers and people running solo, the price for bloggers used to be $15/month and it is now up to $40 but you also have a lot more features to go along with the high price point which is something that I consider. I personally would not mind the higher price point since I don’t have to nickel and dime certain features that I would have had to pay extra for previously. As I mentioned in previous reviews, I wish the trial version was longer initially, simply because there are so many features to look over and explore 14 days is not enough to me anyway to get a good handle on things especially for the cost they are charging, I would say 30 days would be best. Their customer support, however, is pretty awesome from my experience and they are pretty quick with getting back to you about any questions or concerns. Sounds brilliant, need to go check out if there is a personal version. Thanks! I love your nice tips and pointers on making this right. The Co-schedule should help me while working with my family. This sounds like the easy answer to my blog problems! And I never knew something like this existed!